... CNT Address Puzzle Explained ... 11 Days Ago: Gov't to provide answers The China Railway Construction Company, listed as one of the shareholders of the beleaguered CNT Construction Investment Limited (CNTCI) says it has no stake in the CNTCI. A senior official of the corporation told JoyFM that their relationship with CNTCI is only a cooperation by which they get to work on some project in Ghana after CNTCI has provided the financing. “CNT is doing financing for the project and also for your government, and CRCC is only doing construction job for your govt” says Mr. Zheng, Director of Engineering at China Railway Construction Company. Zheng also told JoyFM that they have warned CNTCI against using their company name, adding that Ghanaians should not believe them. This view runs contrary to documents provided by CNTCI and according to Crusading Guide Editor Kwaku Baako Jnr, China Railways Construction does have one thousand (1,000) shares in the CNTCI. China Railways like other shareholders have all written to confirm their shares in the investing company. 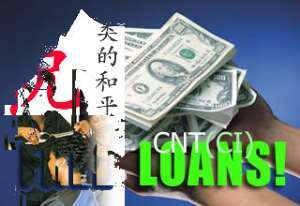 CNTCI is in negotiations with the Government of Ghana to provide a three hundred million dollar ($300m) loan for infrastructural developments. China Railways' denial of a shareholding stake in CNTCI has compounded what is an already complex web of unexplained issues surrounding the operations of the UK-registered CNTCI and their negotiations with the Ghana Government. The Kufuor administration is also silent and is refusing to answer pertinent questions that go beyond the CNTCI to various inconsistencies and worrying details in the Memorandum of Understanding with CNTCI and the loan agreement, which was submitted to and passed by the Ghanaian Parliament. Faced with the difficulty of explaining issues surrounding their UK address and office location, the CNTCI has over the last few days tried to play up the high stature of its Chinese shareholders. In a document submitted Ghana's Parliament, a number of Chinese corporations including the China Railway Construction Corporation (CRCC) Liaohe Petroleum Exploration Bureau, Shangai Electric Group Corporation, Jilin Province Electric Power Design & Survey Institute, and CNT Hong Kong Limited were listed as shareholders. The other shareholders listed in the document purported to be a due diligence report are Columbus Newport Llc, Alberni United SA and Universal Credit Bank & Trust Company Ltd. Interestingly, the list of shareholders released by Mr. Kwaku Baako does not include the latter shareholders- Columbus Newport Llc, Alberni United SA and Universal Credit Bank & Trust Company Ltd. So far, attempts to trace the UK office of CNTCI has been unsuccessful, with all listed addresses drawing blank. 150 Hammersmith Road, London which is the address supplied the Ghana Government by the company is the premises of a London hairdressing salon, Wish Hairdressers. Further checks at the UK Registrar General Department (Companies House) revealed that the company's registered office as filed with the Department is in Cardiff: Room 2A 2nd Floor, China Supermarket, 32-34 Tudor Street, River Side Cardiff CF11 6AH. But that was also found to be unoccupied and was infact rented by a Hong Kong national Mr. Whong Cheung Piu in November last year. The office has not been occupied by anybody since then. Some newspapers defending the CTNCI have claimed belatedly although without proof that the correct address is rather 150 Latymer Court, Hammersmith Road, London and not the 150 Hammersmith Road as provided by the CNTCI to government. Our scout however says the 150 Latymer Court, Hammersmith Road, London is occupied by an Englishman Mr. Bennet. JoyFM is yet to confirm when he took up occupancy there and who was the previous tenant. JoyFM investigations continue.